Should Dickov start against Newcastle? With the joke that is Leicester City holding on to a lead, do you think we should play Dickov from the beginning to put constant pressure on the oppositions backline? IMO YES! We need him and Bent to play upfront together because they have pace and potency between them, and have the been the best partnership where they have linked up most effectively. Fat Les has done well top get 6 goals, but Dickov has the same amount of goals as him despite not playing as much and having to come off the bench. Agreed, if we can't play Bent and Dickov together and leave Les out then play all three and fcukin have it. He has to start against the geordies because as good as Bent and Les are together there isn't enough movement. To be fair Ricey, even with our good run, those two didn't link up very well. When Fat Les flicks a ball on, Bent wouldn't read this and vice versa. Dickov is a very clever player, and get's himself in to very good positions. Dickov should have a rating of 20 in CM for positioning. Bent & Les aren't good together at all, Bent & Dickov are good together. Ferdinand is good at scoring, thats it. Assistant manager Alan Cork believes some of the Leicester players should look to Les Ferdinand for inspiration. 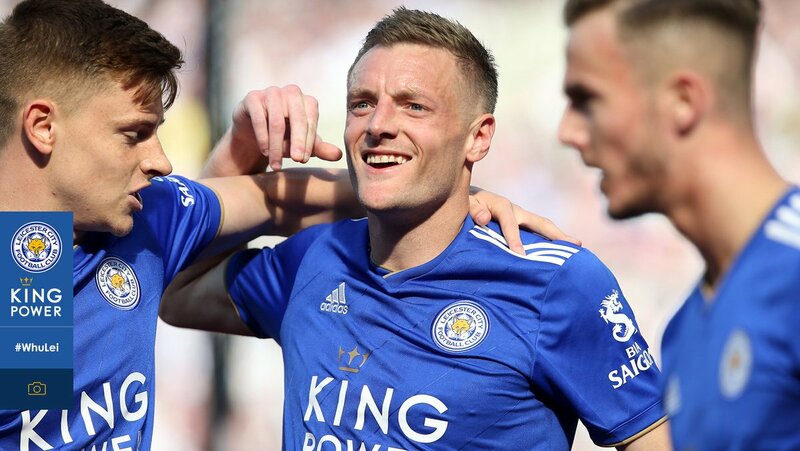 The veteran striker drove home his 16th career goal against Everton on the stroke of half-time, although it was not enough to prevent a 3-2 defeat for the Foxes. Cork reserved special praise for Ferdinand, who joined on a free transfer from West Ham in the summer, as he said: "Les was absolutely magnificent. "For 37, he looked like someone who was 25, which shows because he is enjoying his football. I can't speak highly enough of him. "He's great to have around, mucks in and is a great example to a lot of the players. We've all learnt off him since he came in the summer." I'm gonna get some abuse here, but I don't think Ferdinand has done that much on the pitch! He has scored 6 goals which is a good return but other than that he has done fcuk all in many of the games. He has been sent off for a shocking reason and all his goals other than his Portsmouth goal have come to no avail as we've either lost or drawn. He might be excellent off the pitch, and there's no doubt he has been a fantastic player but I think we're more effective without him. Dickov has scored and created more vital goals than Ferdinand has, he also never stops working and unsettles other teams. Marcus Bent gives us the pace and guile needed, I just think Dickov has to partner Bent. Dickov and Bent together have ripped apart Leeds and Man City, they also took Blackburn apart in the last 15 minutes. Ferdinand and Bent aren't working together off the ball, which is the main problem in holding a lead. In answer to the question..... yes! I agree with Londonfox, Try Scowie and Dickov upfront,maybe Dizzy down the right. I think bent is probably the most talented player we have behind Izzet. When he wants he's absolute class. Looks a bit lazy when things arent going quite to plan though. I'd rather have Ferdinand and Bent on the pitch when it's 0-0. I'd rather have Ferdinand and Dickov on the pitch when we're losing and need some grit, or when we're winning and need someone to pester the other team and not give them time on the ball. Dickov and Ferdinand didnt work against Birmingham did it Country Fox :roll: Or was i seeing things :? The first 30 minutes against Birmingham were already a disaster attacking wise before the sendings off. Its an unproven partnership and i dont think we should risk playing them two again in an important game. the whole team was playin pretty badly most of that 1st 35 minutes - and r u sayin we should how good a partnership they make on one performance? howey and scimeca were an unproven partnership. Bent and Ferdinand score goals from open play. Dickov doesnt. I wouldnt play Dickov with Ferdinand, i'd play Dickov with Bent.